This year’s AGM was held in the impressive Hartham Park, site of one of our ground mounted solar arrays. Despite the heavens opening and threatening to flood the approach road to Hartham Park, the AGM went ahead and was attended by nearly 20% of our membership. Of course the sun came out later, so some people were able to visit our 250 kW array too. All the motions proposed were accepted, which means that for a third year running we will be paying 7% interest to our members. This money should be paid direct to your accounts by early October, so if you’ve changed your bank account, now would be a really good time to tell us. A £15,000 payment to the newly formed, independent charity Bath and West Low Carbon Community Fund was agreed. If you add that to the £8,700 we already have allocated from last year’s grant and the generous donations of some our members, it means that we will be able to make £20,000 available later this year for grants to community projects wanting to address carbon reduction or fuel poverty. As well as the annual update from Jeff on progress last year and our substantial plans for next year, followed by a succinct review of the accounts by David, we also had the results of our annual elections for non executive directors. This year Jane Stephenson was re-elected and we welcome a new director, Jon Bateman to the board. Jon is a semi retired civil engineer and active within the community sector. We do however have to say goodbye to Adam Walton as he stands down from the board having been involved in BWCE since the early days. Adam has given a significant amount to BWCE and the whole board and I am sure all our members would like to thank him for his contribution to our success. 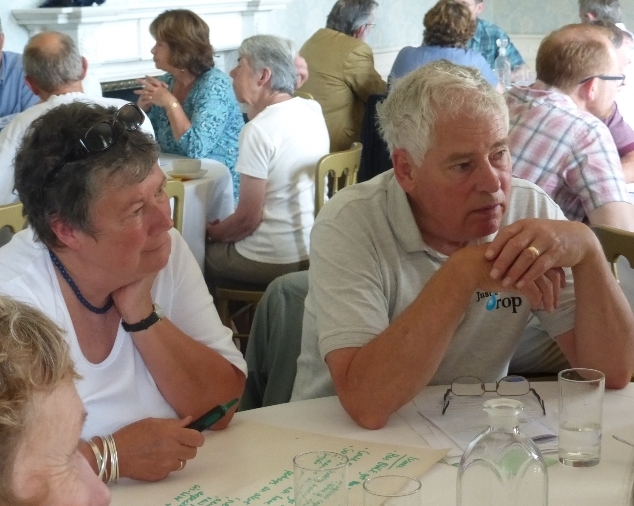 The AGM also included some very interesting, useful and enthusiastic discussions with members. This has provided some excellent feedback to the team, including ideas for future projects, thoughts about our approach to project development and ideas for active member communication and involvement, among many other things. From the board’s perspective it was great to see the level of engagement and a growing sense of ownership amongst the membership. And very heartening to hear one member saying that they were ‘so impressed with the way that you have developed such a professional organisation but managed to keep such a friendly, community feel as well’ – Praise indeed.